will change the way you wash for years to come. The right surface cleaner will save you time, water, and effort. They produce a clean, uniform finish without soaking your clothes or your wallet. And, when using lower pressure, they can even be used on decks and maneuver easily around the area. How Do Surface Cleaners Work? It's pretty simple, really. 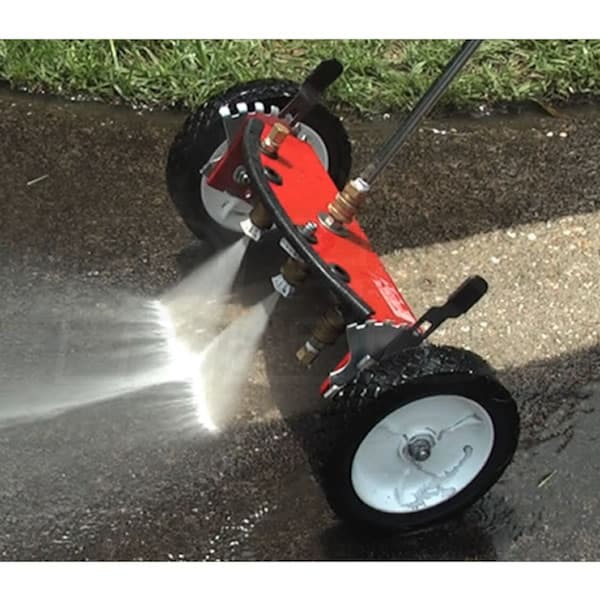 Surface cleaners are pressure washer attachments that connect directly to your wand and spray the water through the bottom evenly and without leaving streaks. 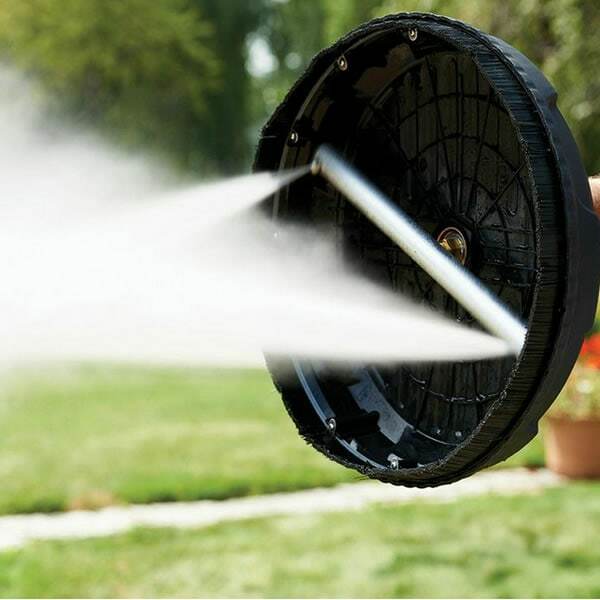 Small nozzles on the head of a spinning arm produce a smooth, even cleaning path as it rapidly rotates around the enclosed disk. That means your feet won't get wet, and you'll clean much faster than using just your pressure washer alone. 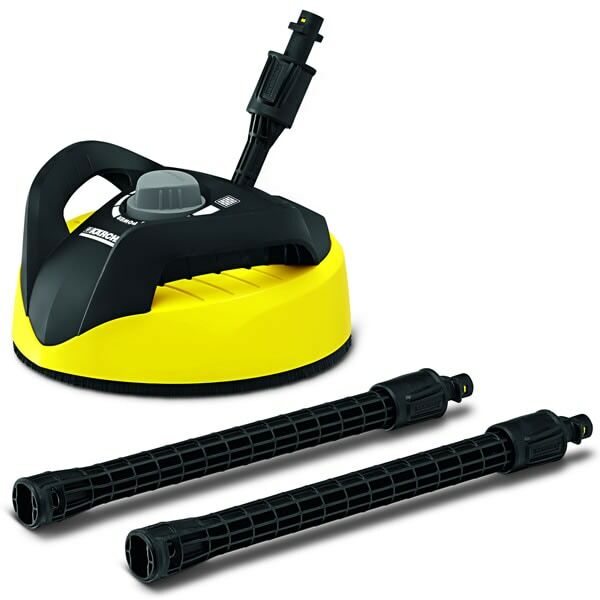 Consumer electric pressure washers use bayonet connectors that twist and click to lock together. Most consumer gas units can use the standard M22 connector. If your spray gun uses quick connectors, then adding a high pressure quick connect adapter kit will do the trick. 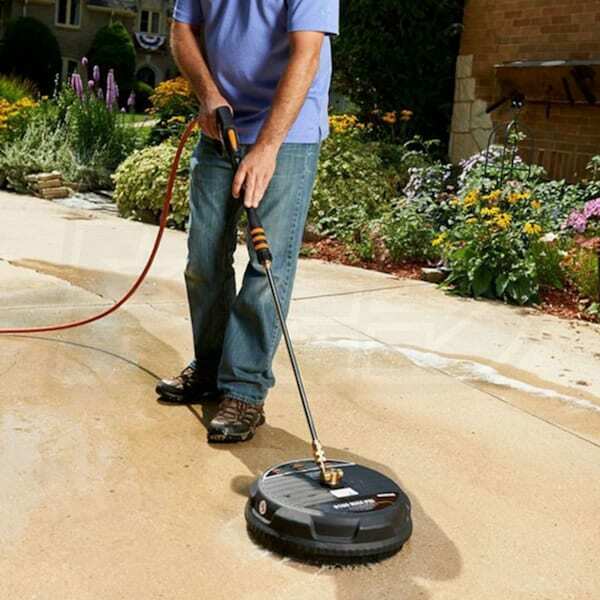 Consumer surface cleaners are great for homeowners looking to take on spring cleaning or other small jobs. The semi-pro models bridge the gap between a great consumer investment and an entry-level professional choice. These models are made with more heavy duty components and will work better for longer than consumer models. If you have some seriously stubborn stains on your driveway or garage floor, you'll need the extra power of a semi-pro surface cleaner. Professional surface cleaners are built for heavy-duty daily use using either gas or electric commercial pressure washers. Most are rated up to 4000 PSI and can accept hot water. They are engineered to be lightweight and easily portable. 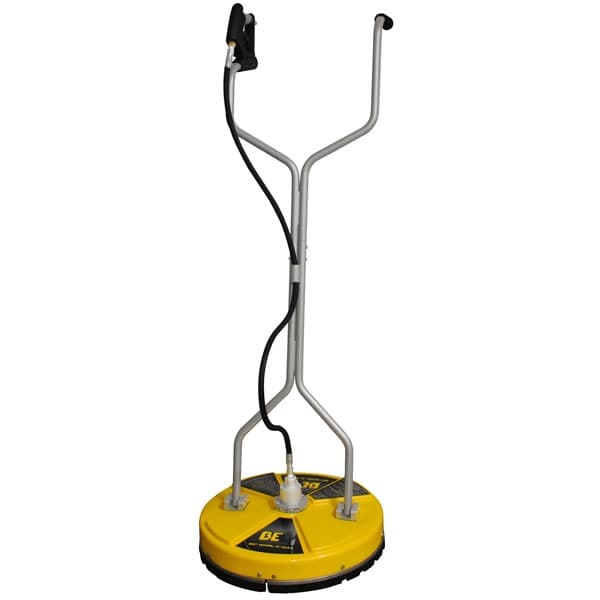 If you use a surface cleaner to make your living or will be using one regularly, a commercial unit will be sure to last. If you need to clean large areas at once, don't settle for just using your pressure washer wand and a turbo nozzle. Even if surface cleaners don't suit your fancy (they should!) you could also look into water brooms. They look and operate like a manual push broom—with the exception of spraying water at high-pressure in wide, horizontal lines across the ground while you work. They are a happy medium for larger areas that don't have smaller areas that need cleaning. Surface Cleaner Buyer's Guide.. Our Power Equipment Direct how-to library can help you learn about Proposition 65 Product Labeling, Sales Tax Information and Product Recalls for Pressure Washer Equipment.